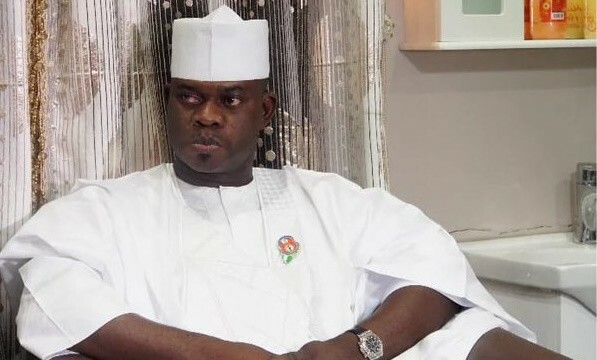 Kogi State Governor Yahaya Bello’s trip to Saudi Arabia for a lesser hajj on Wednesday evening was aborted at Malam Aminu Kano International Airport, as his travel visa had expired. The governor had boarded the Saudi Arabia bound aircraft and sat on his reserved seat while his aides were busy processing his travel documents. At the peak of processing Mr. Bello’s travel documents, it was discovered that his visa had already expired. Shortly after the discovery of the expired visa on his passport, the dejected governor had no alternative but to disembark from the aircraft. Thereafter, it was gathered that Mr. Bello proceeded to the Kano State Government House, where he spent the night. Mr. Bello had taken off to Abuja from Kano on Thursday, ostensibly to validate the visa before his trip. It will be recalled that the Kogi governorship poll under contest was one of the most complicated in the seventeen years of our renascent democracy. 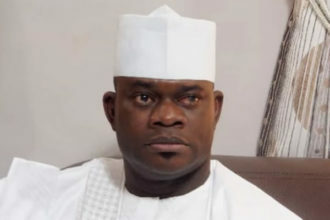 Kogi is one of the states that fell outside the general electoral calendar as a result of earlier complications. Here is a recap of the story. The governorship election took place on Saturday, November 22nd 2015. Audu woke up on Election Day and started complaining of stomach pains. He managed to vote and went back to his home for treatment. He remained there while the vote counting went on, and by the end of that Saturday, it was obvious he was in the lead. But by 9.00am the following morning, he died, and the drama of the Kogi polls took on a complicated plot. Eventually, it turned out he won the majority of votes, according to Prof. Emmanuel Kucha, the Returning Officer of the Kogi governorship poll, with 240,876 compared to Governor Wada’s 199,514. However, the election was declared inconclusive because, according to the Independent National Electoral Commission (INEC), the 41,353-vote difference between Audu and Wada was less than the 49,953 registered voters who did not vote. At this point there was confusion everywhere. Many commentators opined that INEC should still have announced the winner since the elections had been concluded before Audu died, meaning that his running mate, Hon. James Faleke, should have been pronounced governor-elect. This is Faleke’s main ground for going to the Tribunal and stubbornly refusing to act as Bello’s Deputy Governor in defiance of his party’s entreaties. But Wada’s camp and independent observers note that Audu’s death before the formal announcement of the results presented a big constitutional lacuna.